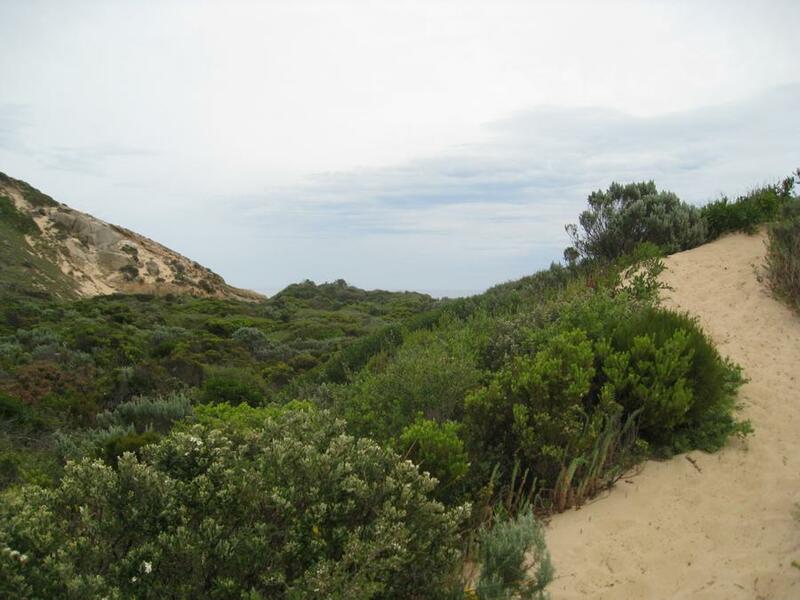 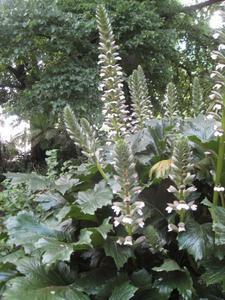 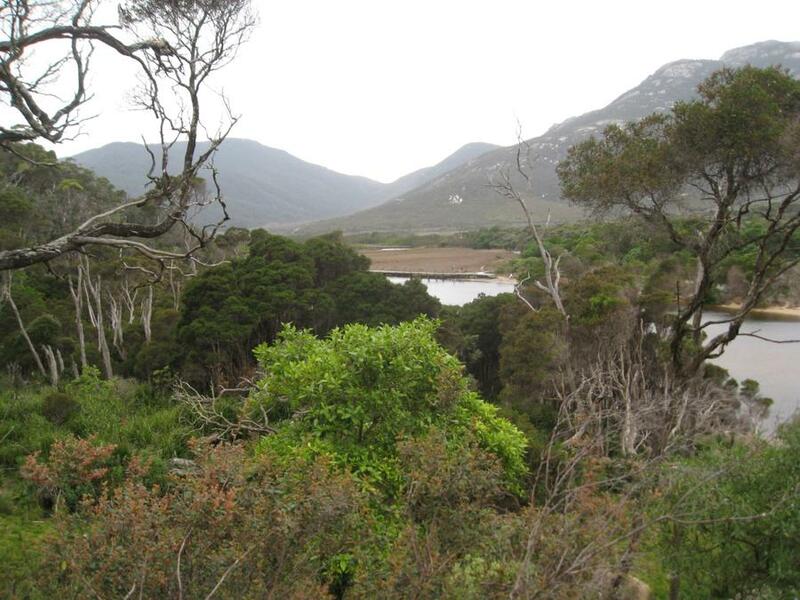 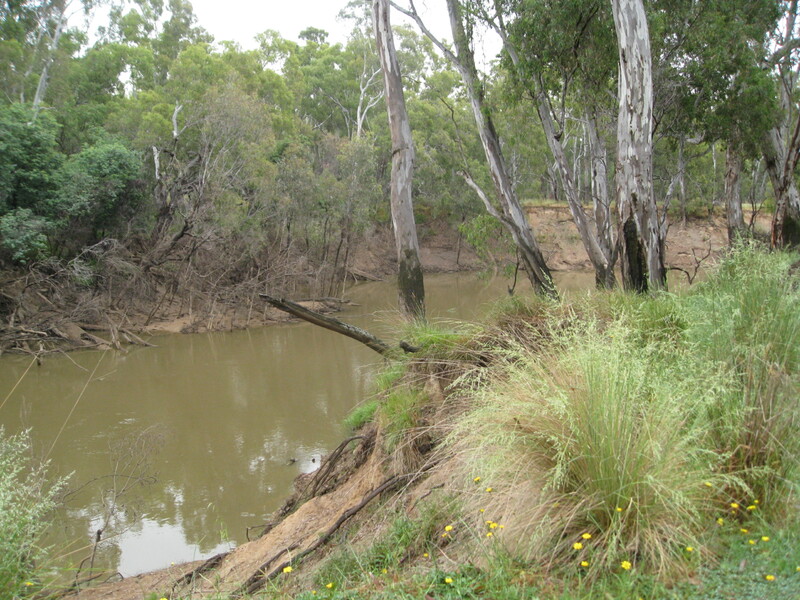 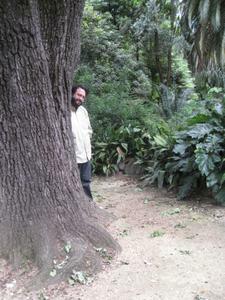 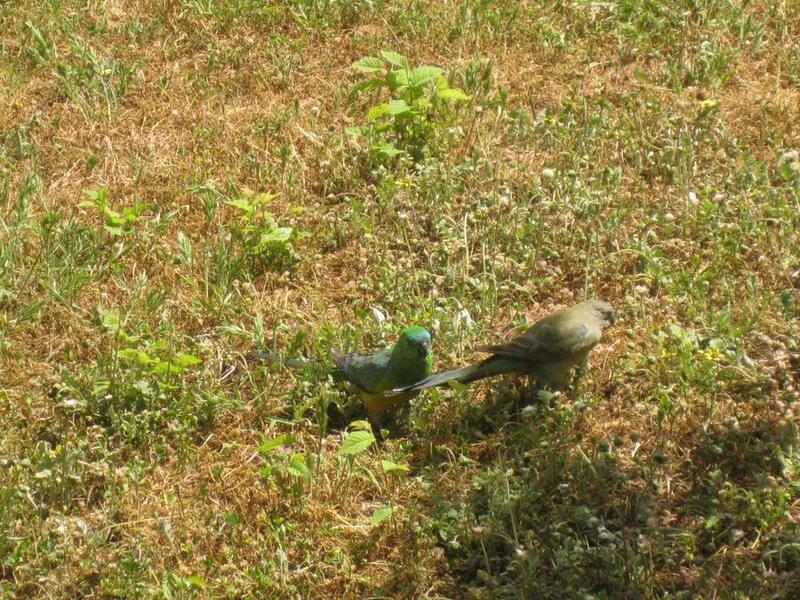 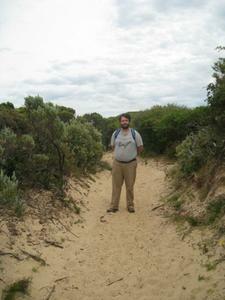 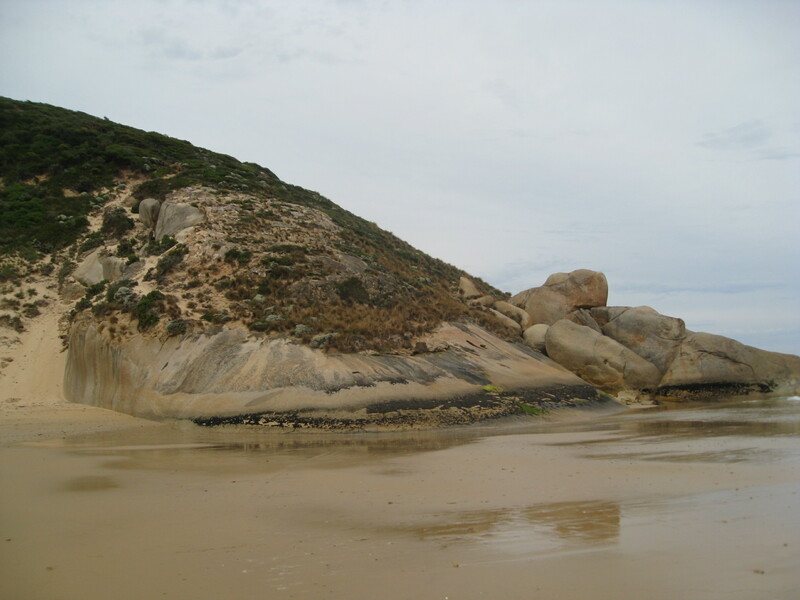 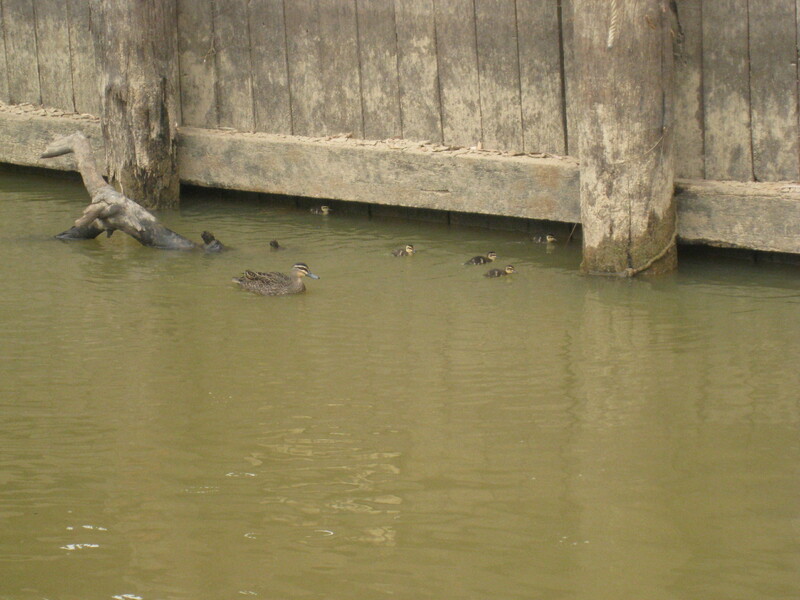 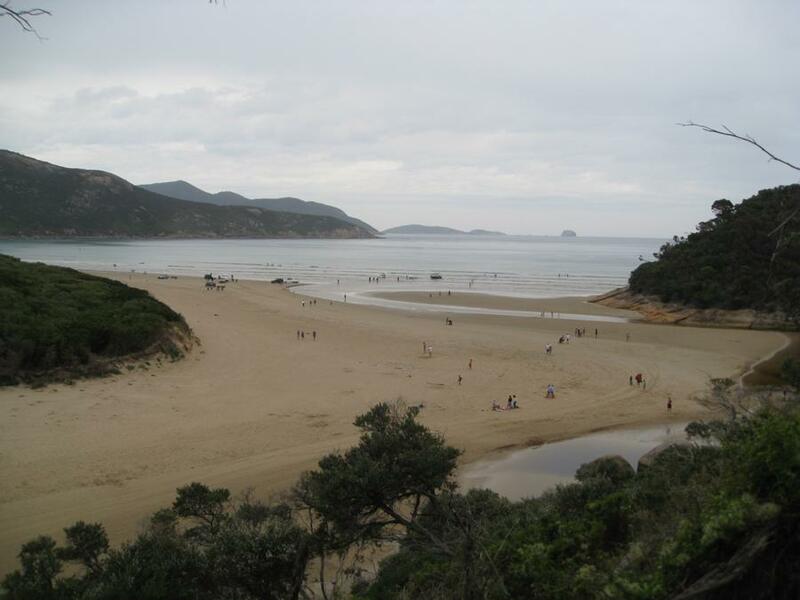 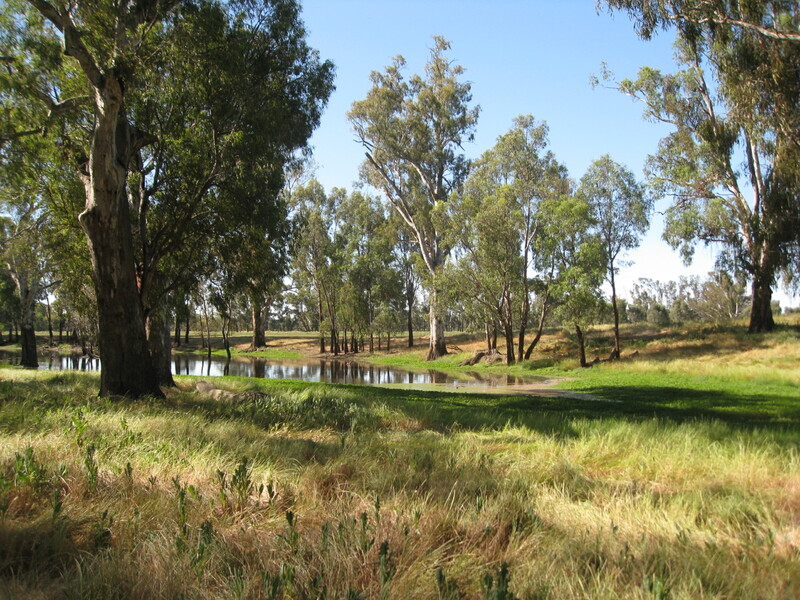 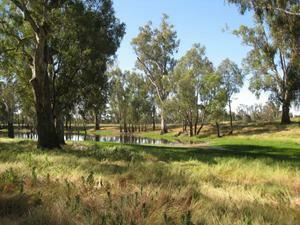 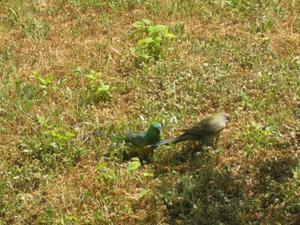 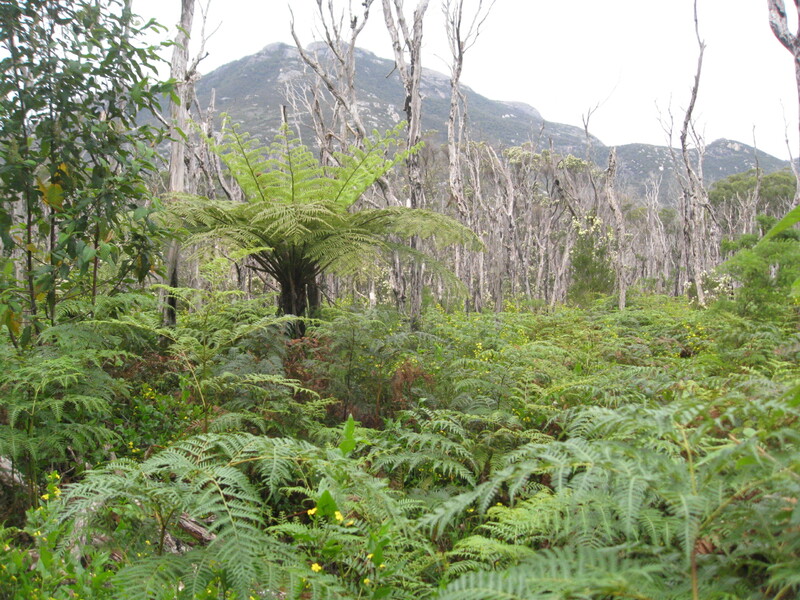 After returning from Queensland, we explored a variety of sites to the east of Melbourne. 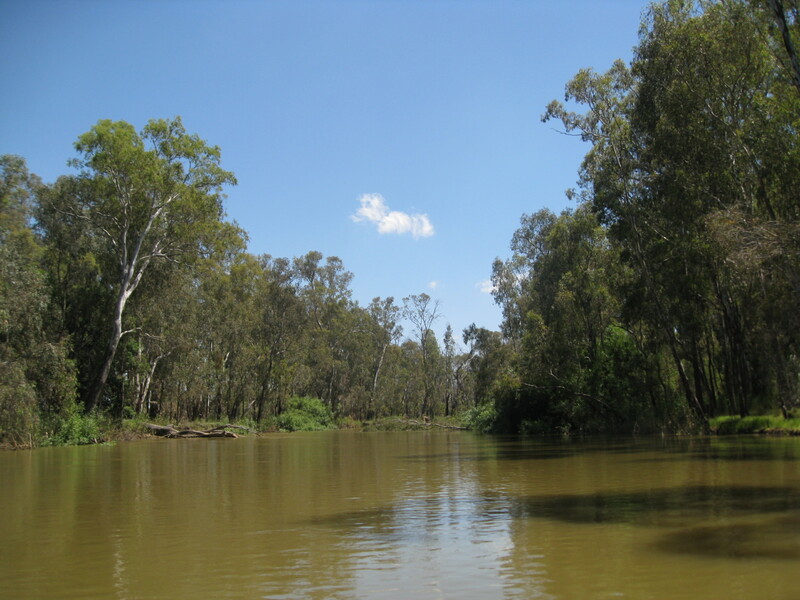 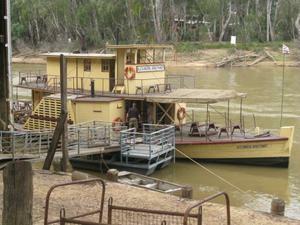 Wilsons Prom was a beautiful park on the southern coast, and we went on a couple of nice cruises on the Murray River. 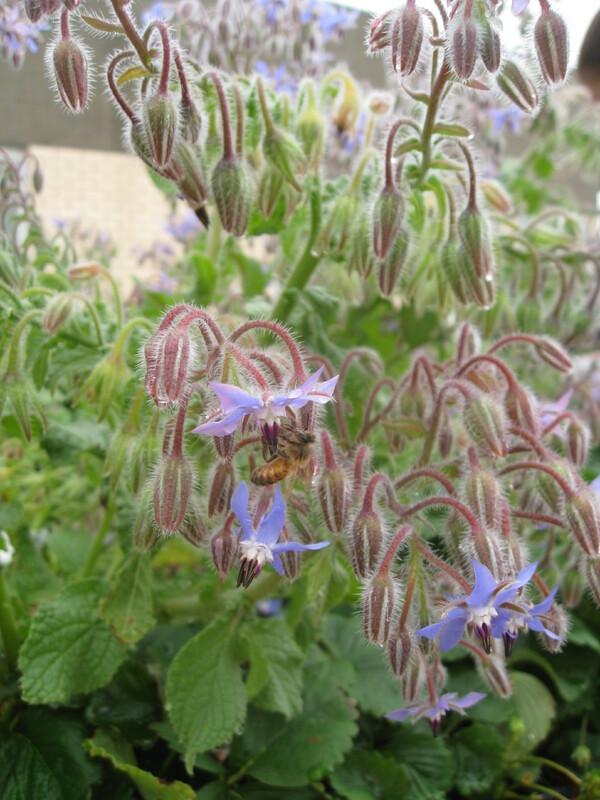 Bees foraging in the borage at the North Shepparton Community Garden. 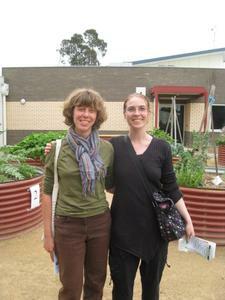 Ingrid and Susan Hose, community garden leader, in front of the raised beds. 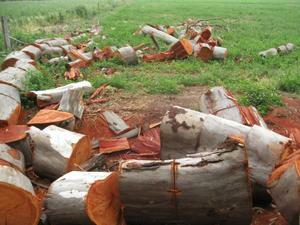 A recently fallen red gum tree. 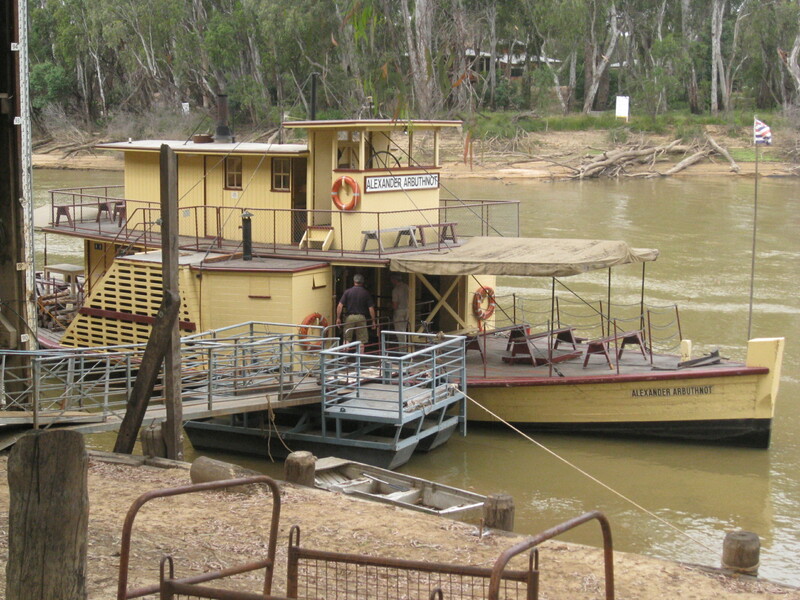 The Alexander Arbuthnot, our paddle steamer for our cruise on the Murray River. 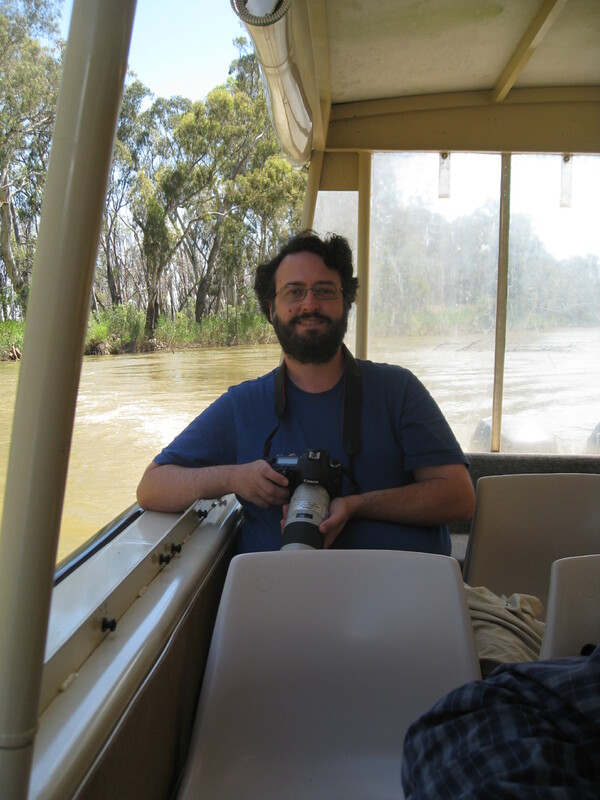 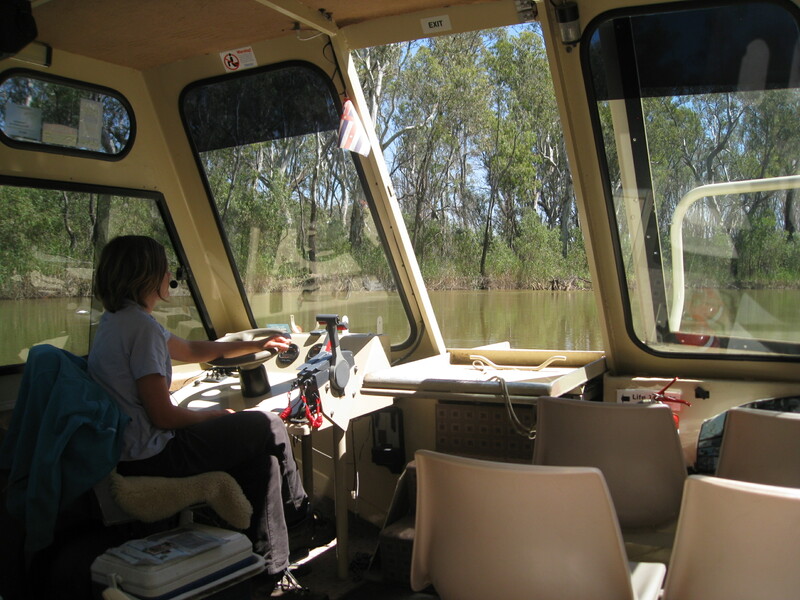 Our guide on the Kingfisher Cruise on the more northerly part of the Murray River. 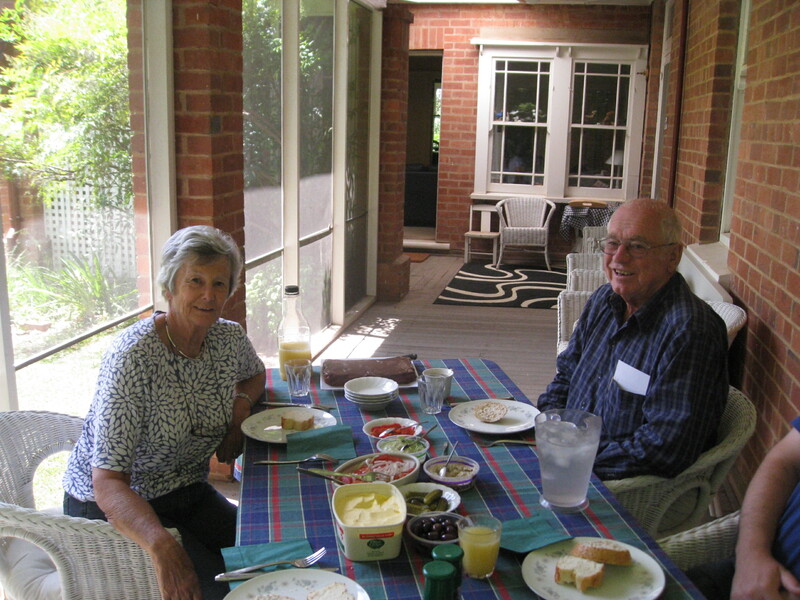 Heather and Bruce Lloyd, our hosts in Shepparton. 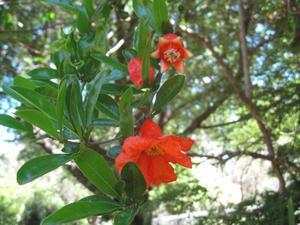 Flowering pomegranate with fruits beginning to form. 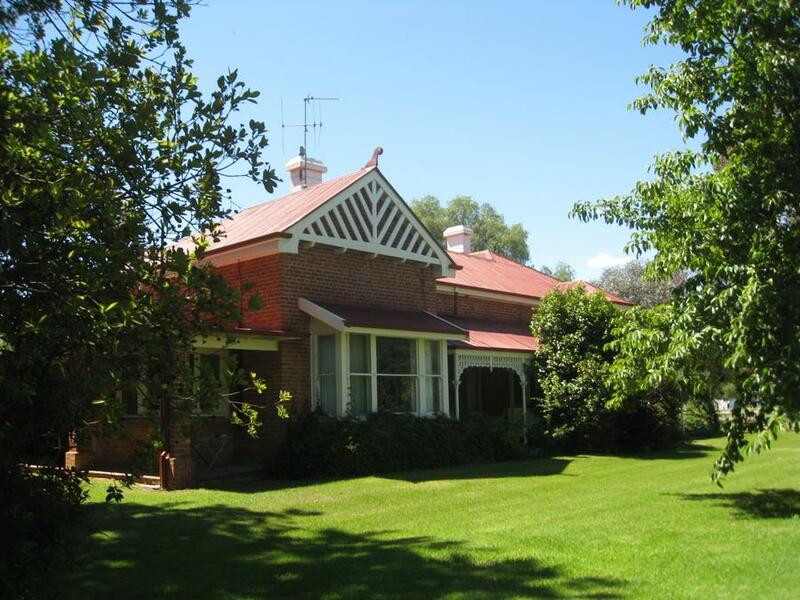 The lovely 100+ year old house where we stayed in Shepparton. 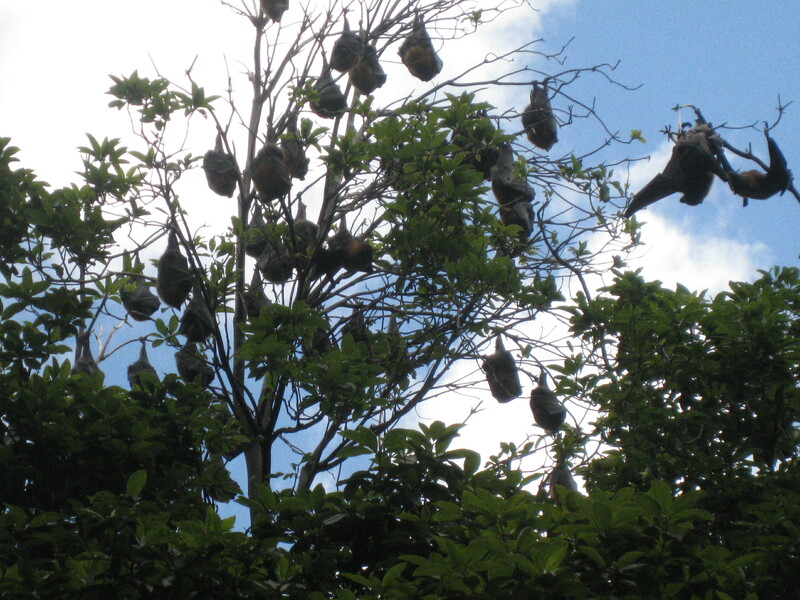 Fruit bats hanging in the tree in the Bendigo city park.